THE theory is that dramatic events often happen in threes but Joe Burns will have no complaints if it's just two. 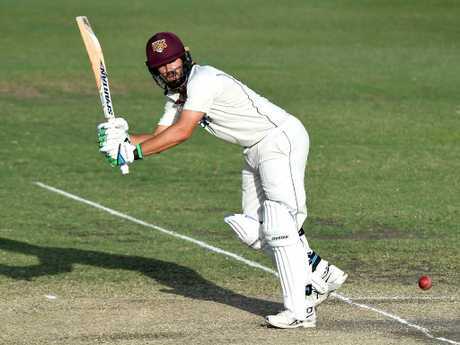 The Queensland opener's past two Tests have been among the most controversial in the recent history of the Australian game. He was dropped along with almost half the side from the infamous Hobart Test loss against South Africa in 2017 and recalled with Queensland teammate Matt Renshaw after Steve Smith, David Warner and Cameron Bancroft were axed following the ball-tampering scandal in South Africa. Both times Australia were given a touch-up but the heartening news for Burns is that he appears to be growing as a player and may yet get the chance to balance the ledger after a Sheffield Shield summer that yielded him 725 runs at 55 from just seven games. His experience and steadiness could be useful in a Test summer where the three exiled players will leave a massive vacuum. 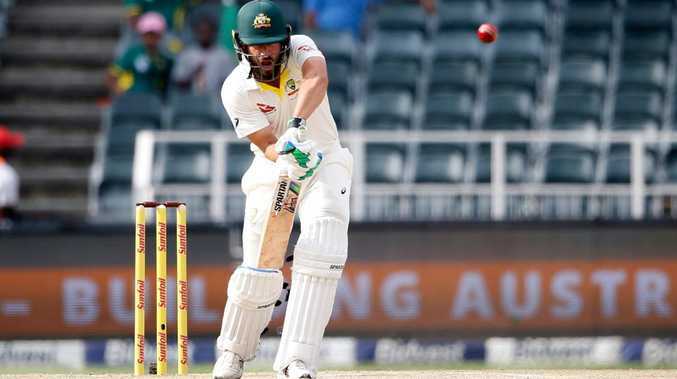 Like Glenn Maxwell and Shaun Marsh, Burns has been left out of the current Australia A tour of India, which could be a sign that he will play in the two Tests against Pakistan in Dubai in October. "I had some really positive chats with selectors after the Johannesburg Test,'' Burns said on Sunday. Perhaps no two first-class cricketers have ever been jumped from dressingrooms of extreme mood contrasts as Burns and Renshaw when they were plucked from the boisterous Queensland celebrations of their Sheffield Shield final competition win into the numb Australian room still shaken and grief stricken by the ball-tampering scandal in Cape Town. "Coming from the shield final, I think we got the chance to sing the song for the third time, we then had to fly to Johannesburg and play. "It very obviously a very different environment from what I was playing in previously but it was an opportunity for Matt Renshaw, Glenn Maxwell and myself to provide some relief to the boys who were going through a tough time.